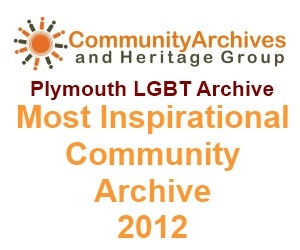 A project to uncover and celebrate the little-discussed lesbian, gay, bisexual and transgender (LGBT) history of the City of Plymouth has won ‘Most Inspirational Community Archive’ in the first national awards given by the Community Archives and Heritage Group. 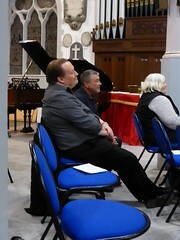 The judges praised the way the project had ‘gathered the voices of and given a voice to often-ignored communities’. ‘Pride in our Past’ was made possible by an award from the Heritage Lottery Fund (HLF) of £35,000 which enabled the Plymouth Pride Forum and other LGBT groups and individuals, from within the city of Plymouth, to work in collaboration with the Plymouth and West Devon Record Office, and create an archive to access, frame and interpret this often unconsidered aspect of Plymouth’s history. Much of the specific history of the LGBT community was stored only in the memories of its older members and was therefore likely to be lost if not captured. A number of volunteers worked as oral historians and community archivists. 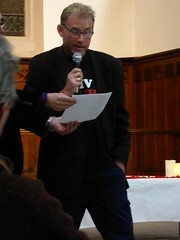 They interviewed members of the LGBT community about their experiences of living in Plymouth and collected photographs and other documents and memorabilia. From April till the end of June, the “Pride in Our Past” project has formed the basis of an exhibition at Plymouth City Museum and Art Gallery and highlighted the on-going work of Plymouth’s new LGBT archive.